Forget about Amsterdam! This hip restaurant in Eindhoven breathes design, right next to the workshop of Piet Hein Eek, the designer himself. Get inspired and take a look around this interesting place at Strijp-R (just across the street from the area of Strijp-S). The interior of the restaurant of Piet Hein Eek is an eyecatcher: high ceilings, huge lamps, and different tables (small, large, Larger) to sit at. All the furniture is either vintage or design, the lights are impressive to say the least, some look like they have come right off a cathedral and the atmosphere is tranquil. Jazzy sounds come from a vintage looking stereo-system. It’s also a nice place to hang out during good weather in some of the wooden designer seats outside (on either sides of the building). Across the street there is a small stand-alone glass house which can be rented as a meeting-(or dinner-) room. Check it out if you’re here! The restaurant has a new chef that aspires star-quality food and that shows on the menu. I’ve never had more than lunch there, but the place itself is what attracts me. The restaurant is decorated beautifully (as it should, next to a design-shop) and still breathes an air of peace. The staff will help you through the menu if you desire and is very nice. To me this is a great spot to visit on a sunday afternoon, have lunch, or maybe to have dinner or some drinks (although I don’t know the crowd in the evenings). I heard there is live music from time to time. For more information visit Piet Hein Eeks website. For other good dinner hotspots visit my page dinner hotspots. Also visit Strijp S, another great area of Eindhoven with lots to see and do. If you want to have coffee somewhere else in Eindhoven, click here. 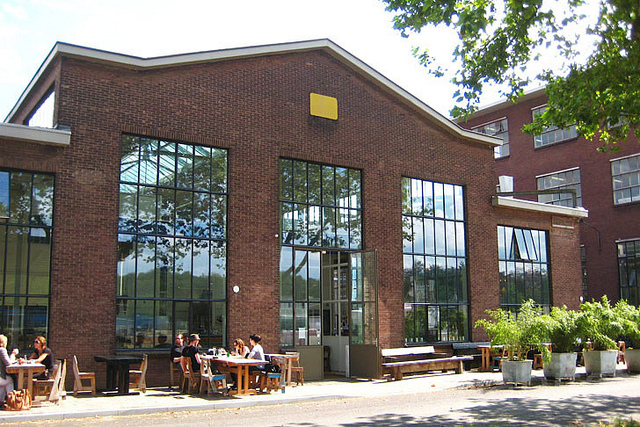 Next to the restaurant at Strijp-R is the Piet Hein Eek store and the workshops, where all the designers create their magic. I have been there twice and guarantee it’s worth the visit. The designer-furniture and other stuff is really cool and surprisingly creative, even if it’s a bit pricey for my budget. Take your time to look around and get inspired by all this artwork (it’s also open in weekends). If you have the time (and they’re opened) go around the back to check out Pinkie, a Pattiserie that serves the best pastry, cookies and cakes to several restaurants and lunchrooms in the city of Eindhoven. Of course you can also buy some treats in the shop to take home from Strijp-R. If you like a quiet, inspiring place away from the city centre, go and visit Piet Hein Eek’s workplace and restaurant at Strijp-R. This hotspot is worth your wile! For the latest hotspots or events follow me on Facebook, Twitter or Instagram. 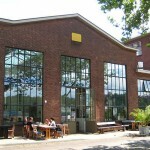 The outside terrace and building of Piet Hein Eek. 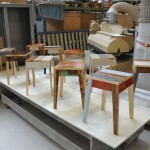 Work in progress at Piet Hein Eek. 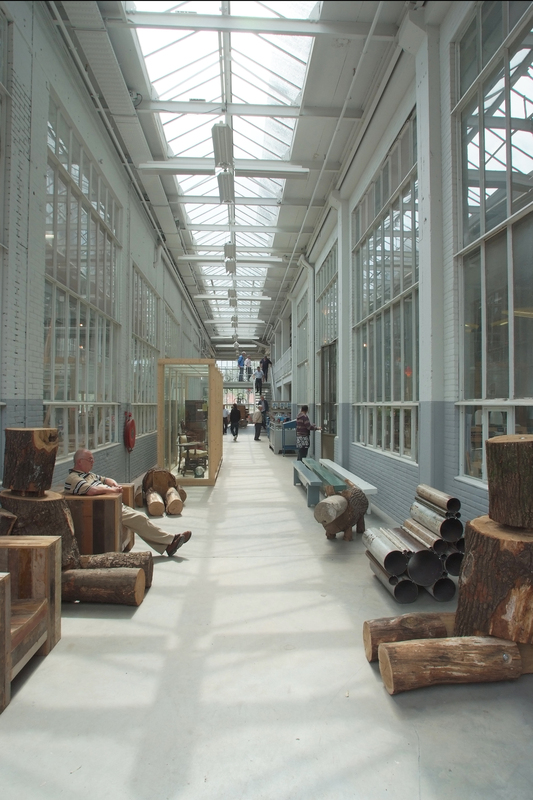 The entrance of the Piet Hein Eek Store and Workshop. 29 december 2014 | Filed under Art spots, Coffee spots, Dinner spots, Drink spots, Lunch spots. 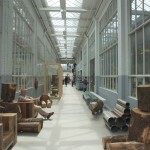 Piet Hein Eek is also a great and inspiring place for meetings. Just across the street you will find a small building that looks like a container. Inside you will find a meetingroom equiped with food and drinks from across and all the things you might need for a business meeting. It easily accomodates 8 persons. To use it make reservations like we did. Dear Andrew, Thank you for your comment. 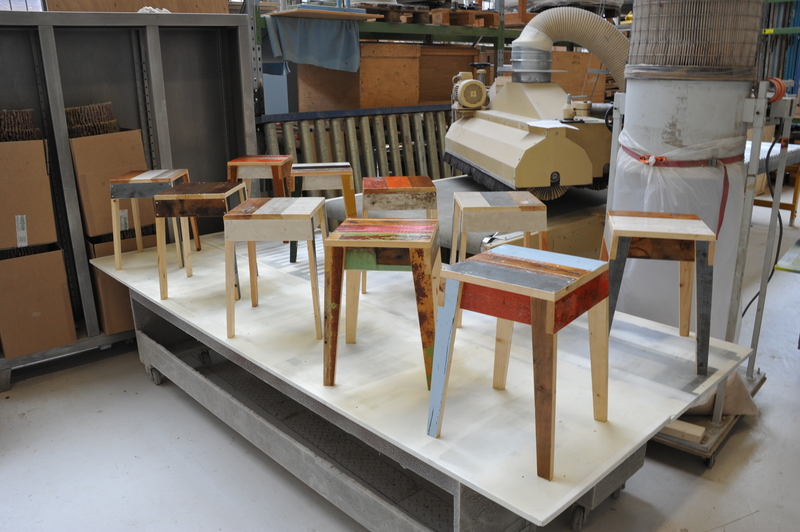 I’m glad you liked Piet Hein Eek.